Song of the Mountains New Season to Start Airing June 15th Across the U.S.
Marion, VA -- Song of the Mountains, the award winning public television concert taped at the Lincoln Theatre in Marion, VA announces their eighth season release to affiliates beginning on June 15th across America. Twenty Four new episodes will begin airing on 190 plus public television outlets across the United States and will feature notable bluegrass music entertainers and musicians including Bobby Osborne & Rocky Top Express, Rodney Dillard & the Dillard Band, Roni Stoneman, Sierra Hull & Highway 111, Janie Fricke, the Steeldrivers, Balsam Range, the VW Boys, Chuck Wagon Gang, Morehead State University Mountain Music Ambassadors, Lonesome River Band, Redhead Express and the Seldom Scene. Read more about Song of the Mountains New Season to Start Airing June 15th Across the U.S.
Lyons, CO -- This Sunday evening (September 9) Planet Bluegrass will open their 2012 fall concert series with 2 favorites from recent RockyGrass and Folks Festivals at the Wildflower Pavillion. 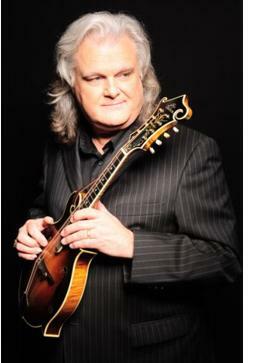 HoustonFest has signed 14 time GRAMMY® Award-winner Ricky Skaggs. Over the course of his 40 year career, Ricky Skaggs has won 14 Grammy Awards, 8 CMA Awards, 8 ACM Awards, 11 IBMA (International Bluegrass Music Association) Awards, 2 Dove Awards and countless others. HoustonFest 2012 will be held at Felts Park in Galax, Va. on May 4 & 5.